A resin based zinc anti-rust coating primer treatment that leaves a surface ready to paint. 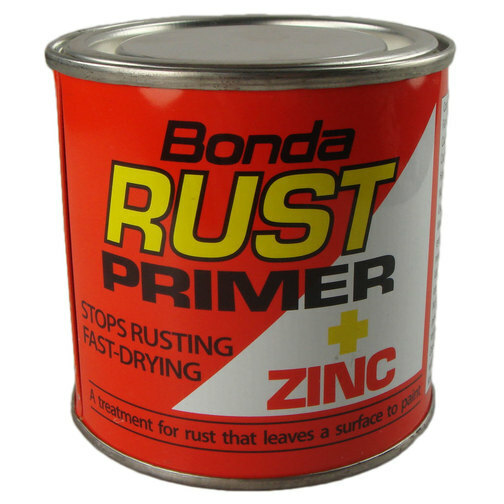 Bonda rust primer forms an anti-rust tough skin with excellent adhesion to most metals. 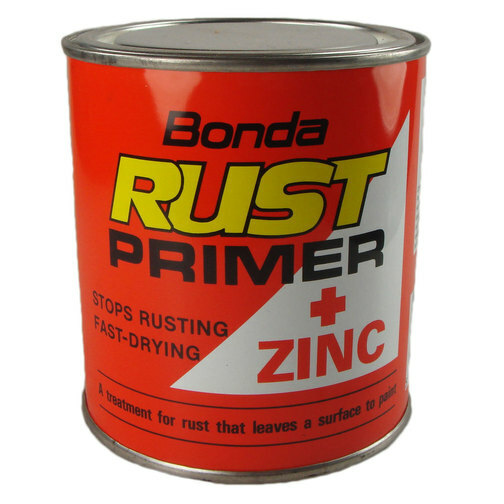 A resin based zinc anti-rust coating primer treatment that leaves a metal surface ready to paint. Bonda rust primer forms an anti-rust tough skin with excellent adhesion to most metals. 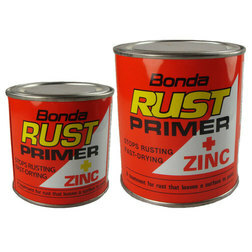 Bonda rust primer plus zinc can be applied to most metals and metals that already have signs of rust formation. When applying rust primer to previously coated or rusty metal it is important to remove all signs of dirt, grease, polish, flaking paint and loose rust. This metal primer, once dry, will allow for overcoating with a suitable paint primer and topcoat.